During August 2016, YouTube content creators were rocked by changes that deemed some content too controversial for ad sponsorship. 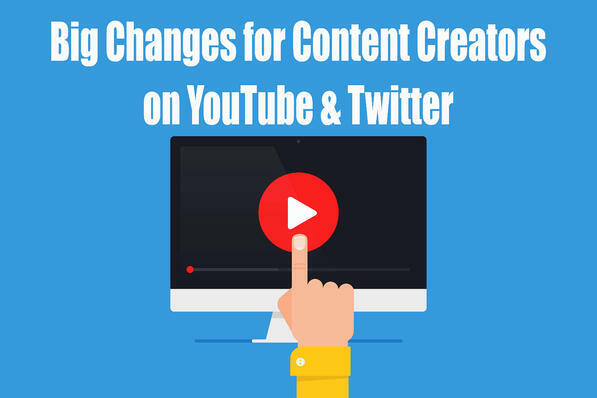 Some of these changes were limited to videos around specific topics, but others have prevented entire YouTube channels from monetizing their content. 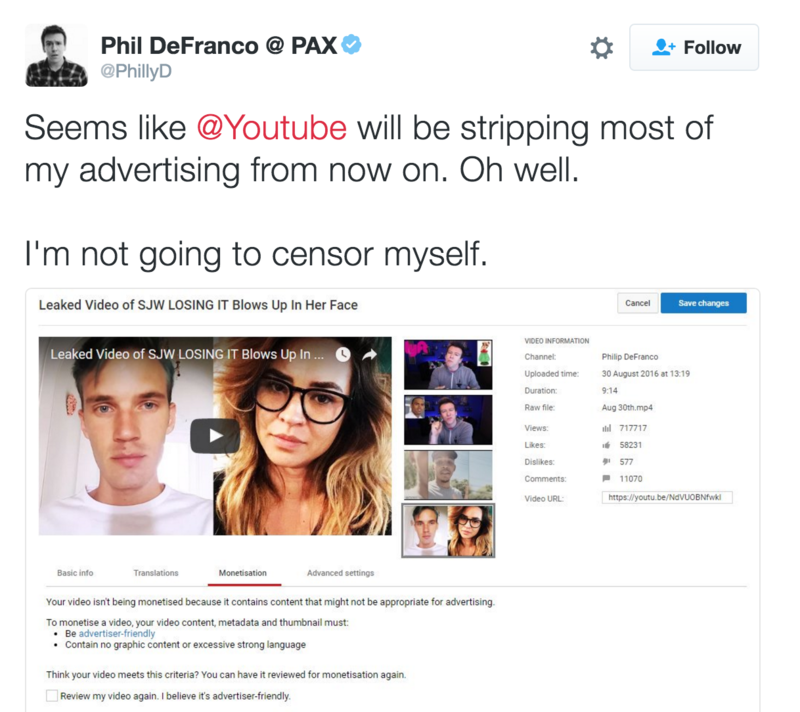 YouTubers like Phil DeFranco have suggested that YouTube is attempting to censor its content submitters by removing monetization opportunities. Twitter announced last week that they are going to begin providing opportunities for video content creators to receive revenue sharing. On the back of what has been called a “stagnating user base,” Twitter is hoping to attract some new attention with this move. The company has stated that their revenue sharing breakdown will pass close to 70% of the income onto the content creators. This figure is significantly higher than both Facebook and YouTube, whose revenue sharing model is closer to 50%. 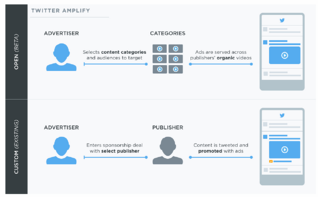 Previously, Twitter has only provided its Amplify Publisher to companies. With the change, the company is hoping that individual users will be empowered to become content creators on their platform. 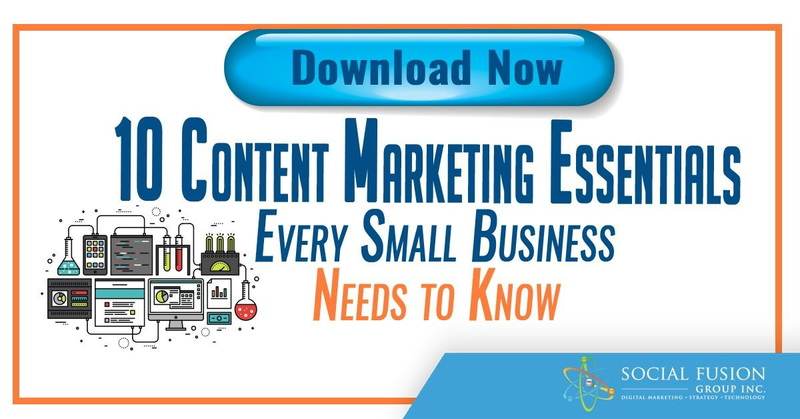 It is providing users with some additional tools to aid in their content creation, including a media library with GIFs, videos, and images. Twitter has also made some changes to their Twitter Engage app to provide additional functionality and control to users, especially those who manage multiple accounts. How will these changes be received? 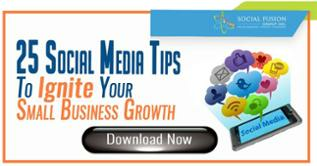 Early buzz indicates that there is likely to be a strong response to the revenue sharing opportunities on Twitter. Particularly with many content creators feeling stifled by the changes on YouTube, it seems possible that many YouTubers may toe the waters of the Twittersphere. Yet there are still some unknowns to sort out with this new opportunity on Twitter. The YouTube revenue model has a pretty clear-cut formula with users earning cash for every ad engagement. YouTubers also make money off of sponsorship opportunities, including featuring a specific brand within their videos. Will these models translate to Twitter? Only time will tell. The one constant in the digital world is change, and video creation is by no means immune to this. For years, major brands were able to dominate online due to the obstacles of competing in the video arena. However, with the advent of technology like HD cameras and drones, video production is now accessible to the masses. With this accessibility comes a huge amount of innovation, excitement, and freedom to create the content that users want to see. What is on the horizon in this arena is unclear, but we can safely forecast that video content is going to continue to strengthen and swell, and with it will come a host of additional revenue opportunities.